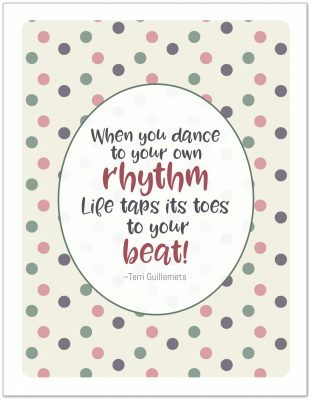 Welcome to Day 7 of the 31 Days 31 Printables series. I’ve been thinking about yesterday’s post quite a bit. Course, part of the reason is because I was busy filling out my own copy for this year’s Thanksgiving celebration at our home, but regardless of why, it was on my mind quite a bit. It sort of felt … unfinished, as though I had forgotten something. This morning it all clicked for me. 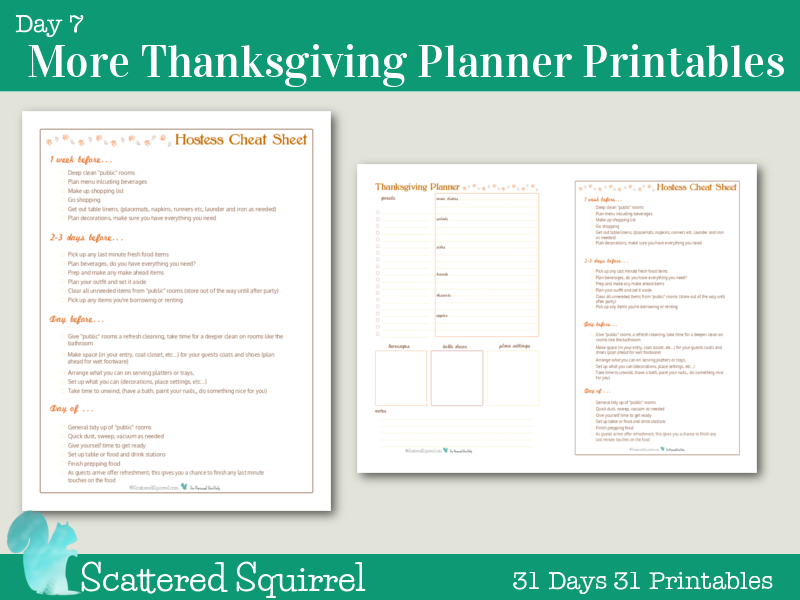 So, today I’m adding two more Thanksgiving planner printables into the mix. Today’s post is going to be pretty short but sweet, I hope. Yesterday I shared my Thanksgiving Planner printable (as seen below) and I really couldn’t be happier with how it turned out. As I mentioned it’s a big part of my holiday meal planning process. Ever since I hit publish yesterday, I’ve been thinking about the printable, and I kept feeling like something was missing. I just couldn’t put my finger on it right away, and then it dawned on me — I needed a half-size version. But what was I going to pair it with? It didn’t strike me as the sort of printable that needs to be two to a page. At first I thought about making the one page planner page and two page one for the half-size version, but it didn’t look right. 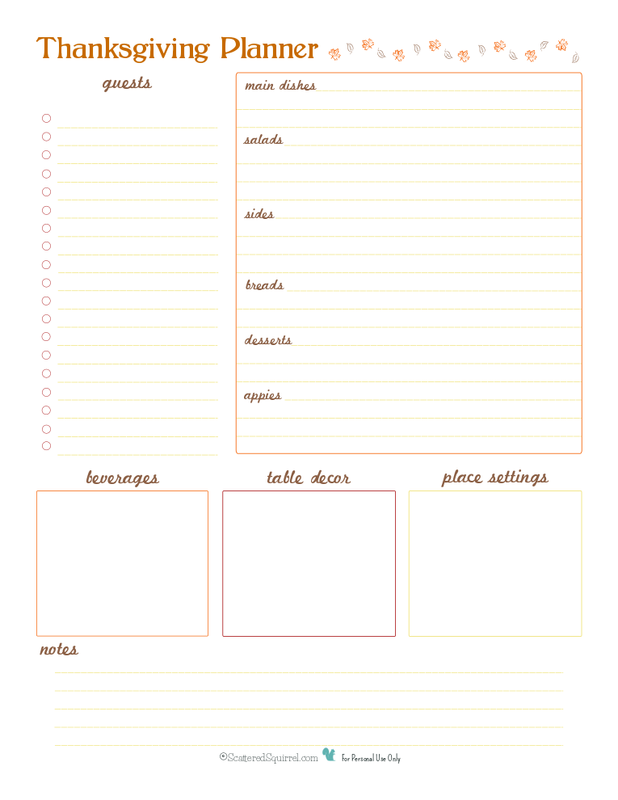 So I took a peek at my list of printables that I’ve been itching to redo and realized I had the perfect one to pair with this, a Thanksgiving version of my Hostess Cheat Sheet. On this printable is my typical to-dos when we’re getting ready to host a get-together. I usually start a week or more before the day of, so that I can take my time getting the cleaning done. Get-togethers are a perfect motivator to get organized and get caught up on deep cleaning you may have put off. If you’re anything like me, you don’t even remember you have baseboards, let alone dust them until you hear the words ‘company coming’. 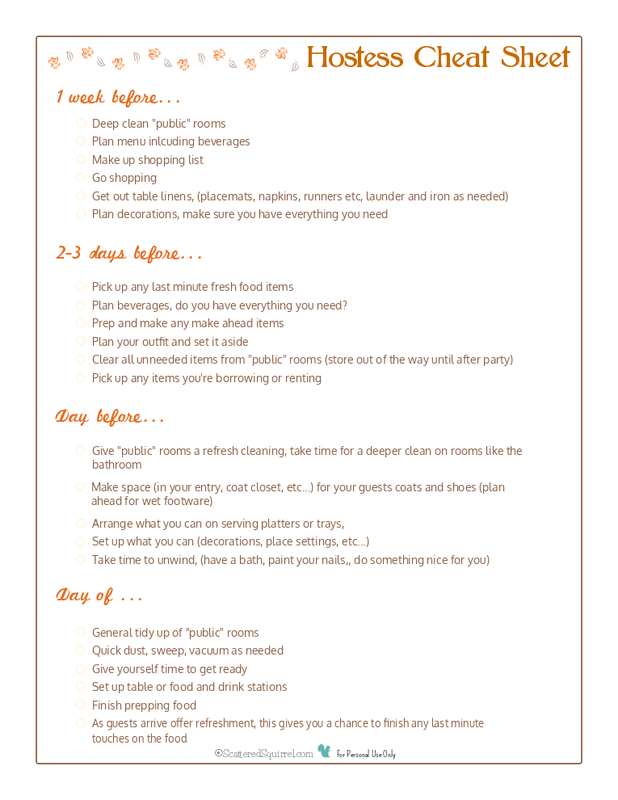 This checklist has been a life saver for me when it comes to getting our home ready, and not feeling overwhelmed in the days leading up to the event. Even though it was part of my Holiday Planner Collection, I find that I use it all year long. (hmmm… maybe I should make an every day, non-holiday specific version of this one? What do you think?) 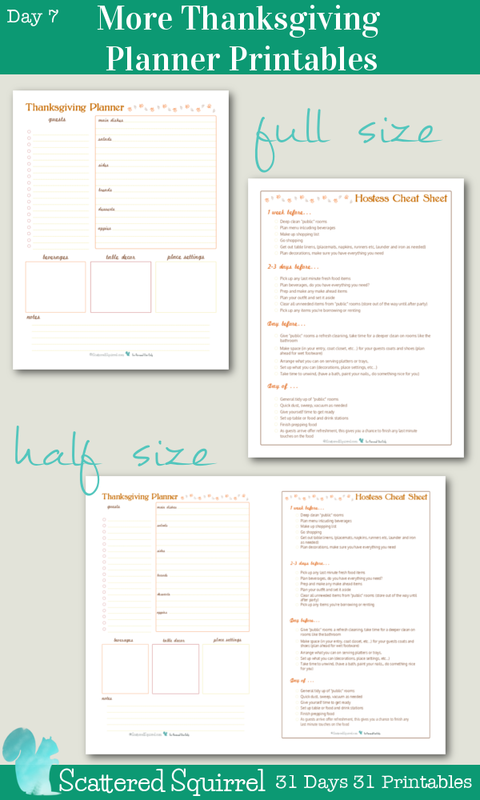 After updating the checklist I took both Thanksgiving planner printables, shrunk them down and made half-size versions of the two of them. 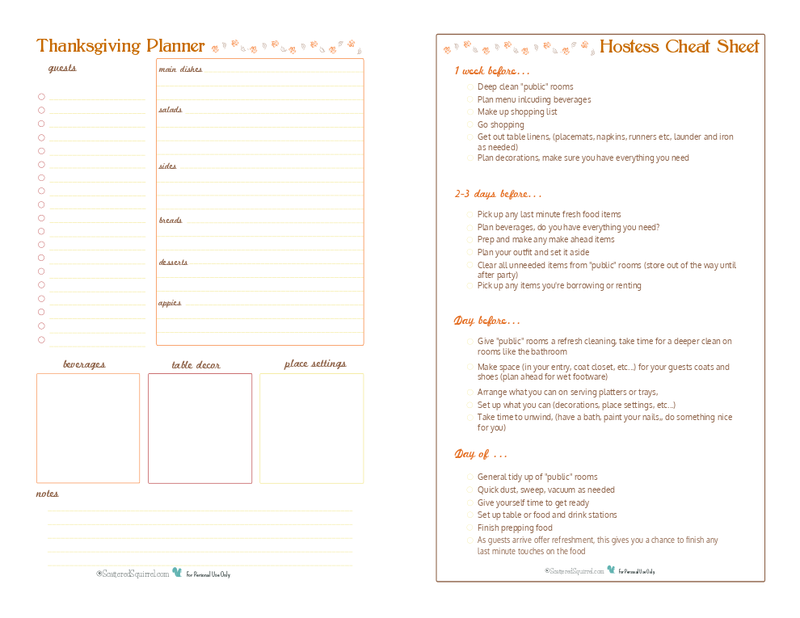 Now I’m all set for Thanksgiving, I printed out the half-size version so that I can keep them with me in my personal planner for when I’m out and about. That way if I happen to be at the grocery store, or pass by a fruit and veggie stand I can check and see what I need, and what I already have. Though I won’t need to use the checklist this year, I can see it being a big help next time we host a gathering.